Stephen Lee Puckett Suicide Memorial - Suicide.org! Stephen Lee Puckett Suicide Memorial - Suicide.org! Stephen Lee Puckett Suicide Memorial - Suicide.org! where Stephen Lee Puckett worked and is now a legend! 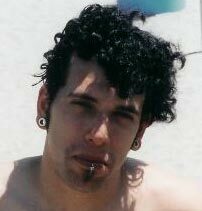 Stephen Lee Puckett was a handsome, intelligent, outgoing, artistic, hard working, popular, funny, talented, and caring individual who lived life to its fullest. One of Steve’s great passions in life was music. 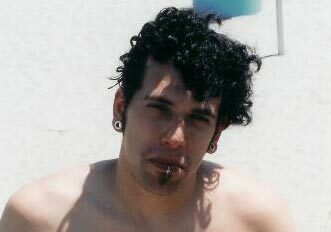 He was an excellent musician and vocalist and would perform anywhere, anytime. Steve also recorded his own CDs. He performed on all of the tracks, first laying down the guitar track, then the drum track, then percussion, and lastly, the vocals. Steve could do it all in his home studio, and he loved to record! Steve was also a talented poet, and he was constantly penning verses. Poetry gave him an outlet to express whatever he was feeling, and express he did! He loved to write. And Steve’s expressiveness was one of his great qualities. He was a VERY outgoing person and could talk with virtually anyone about anything. “Steve had the personality that I would like to have,” said Ron, Steve’s Dad. And Steve was always himself; he never had to pretend to be anyone else. And his expressiveness (and ability to have fun!) always kept everyone entertained! One example: Steve loved to change the color of his hair on a whim. Hey, how about green, or red, or blue…wait, maybe orange! Yes, you HAD to love Steve. He was just himself, and that meant he was 100% genuine and 100% lovable…orange hair and all! And Steve’s outgoing personality attracted a wide circle of friends, and one of their favorite activities was to go to concerts together. And Steve was constantly able to do what no one else could do – obtain backstage passes. Steve could talk people into just about anything, and, like magic, he seemed to make the passes appear out of thin air. So he and his buddies were able to rock out backstage and had access that almost no one else had, which meant hanging out with the bands. Steve also loved cats, but wait…he was allergic to them. So did that stop him from having them as pets? Not a chance. When Steve wanted something, he never let anything get in his way (including an allergy), so he had SEVERAL cats! And there was one cat that Steve was particularly fond of, Korn, and this cat was a dynamo, just like Steve. And Steve even taught Korn how to play fetch! Steve worked as a waiter and bartender at the Hard Rock Café in Washington, DC. And he was GREAT at his job. His outgoing personality and strong work ethic made him a standout among the employees; everyone loved him! And because he performed so well at his job, he was awarded a sophisticated electronic keyboard as a bonus! He went on to receive countless additional performance awards and honors, and it seemed like Steve was employee of the month EVERY month! The customers loved him, and Steve was probably more responsible for driving up the profits of the DC Hard Rock than all of the other employees combined. Steve was a star in more ways than you could imagine! And he loved working at that Hard Rock because it was one more way in which he could closely associate himself with one of the great loves of his live – music! And Steve is now a LEGEND at the Hard Rock in DC. 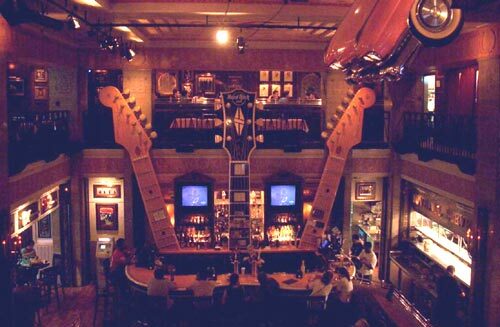 Everyone knows that only the top performers are bestowed with the honor of having their collectibles placed on the hallowed walls of any Hard Rock Café, and Steve’s guitar is now displayed with great honor as one of the venerable memorabilia pieces on exhibit at the DC Hard Rock. Steve’s guitar is displayed with items from other music legends which include Bob Dylan, Seal, Jimmy Page, Kurt Cobain, and Lenny Karvitz. It is an honor that is WELL DESERVED. 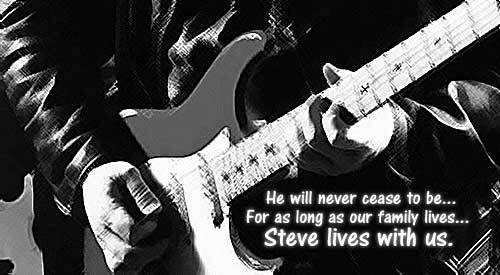 Steve was a self-taught musician who became a talented star through the sheer love of music. And it was his love of music that made him persevere. And that is the type of dedication that legends are made of; and now, Steve is a music legend. Sadly, Steve suffered from bipolar disorder, and died by suicide as a result of his disorder. Steve is survived by a very loving and wonderful family, a family that I LOVE very much and have great respect for, which includes Steve’s father, Ron; mother, Pam; grandmother, Mamaw; sisters, April, Amy, and Stephanie; brothers, Chris and Ronnie; uncle, Gary; and aunt, Bessie. Steve was an absolutely amazing human being and is deeply missed. Steve is now an angel.